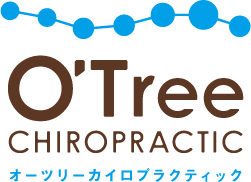 Thank you for visiting O’Tree Chiropractic website. It’s such a privilege to serve people in Kami city, and surrounding cities in Kochi Prefecture, Shikoku area. Our goal is to optimize the health of all who are involved with O’Tree Chiropractic through improving the structure and the function of the whole body by Chiropractic adjustment. 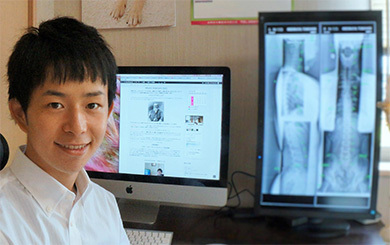 Dr. Tomo is a New York licensed chiropractor. He was born and raised here in Kami city, Kochi. 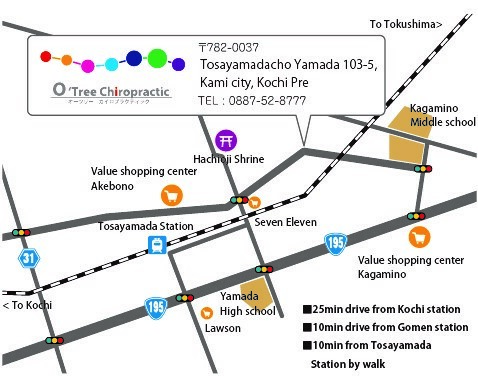 In 2007, he flew to the US as he graduated from Tosajuku high school in Kochi city to learn chiropractic at Palmer College of Chiropractic in Iowa, which is one of biggest and first chiropractic college started by D.D. Palmer, founder of chiropractic. While he’s attending Palmer college, he’s heavily involved with Troxel intern program, where he learned Gonstead system from elder students and doctors, and taught younger students, also attended hundreds hours of out campus seminars to specialize to see athletes and kids patients. He got Doctor of Chiropractic degree after total of 6 years undergraduate and graduate level education in Davenport Iowa and sharpened the knowledge and the skill during 1 year internship in Atlanta Georgia. He came back to his hometown Kami city, Kochi and opened his office in 2015. He’s waiting for opportunities to see you and help to get to healthier and happier lives. By completing the new patient, we are able to obtain your health history and information on your condition. The consultation is comprehensive and addresses concerns of all bodily functions as we see your body not as parts but as a dynamic and holistic system. We will conduct neurological exams, orthopedic exams, and chiropractic exams to see how your body’s functioning. 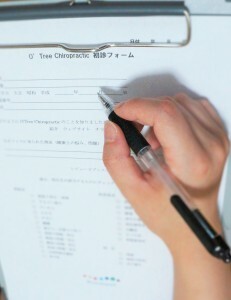 Chiropractic adjustment will be conducted specifically according to all the info obtained through the procedures above. The posture, ergonomic, and exercise instruction will be given to maintain the effect of adjustment and further the state of health. We offer student discount, and kids discount. Please contact for detail. Since the office is located in newly developed area, you might not able to find it by googling or GPS. Please feel free to contact to get the direction to the office from your place.